In data centres and telecommunication rooms of telecommunications service providers space has become more precious than ever before. More and more connections have to be placed in less space. 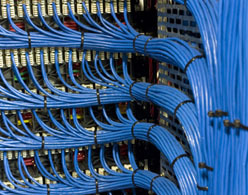 The enormous port density in fiber optic networks has become too high to unlock standard LC duplex connectors as usual – the fingers of the operators simply are too big. 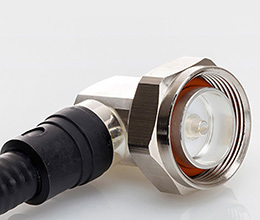 Telegärtner’s new LC HD Duplex connector can be handled easily and reliably even in highest LC Duplex and LC Quad port densities. The long, flexible latch allows comfortable and reliable unlocking even where other connectors can’t be used anymore. Connectors from the right to left: Multimode OM3, multimode OM4, singlemode PC and singlemode APC (8° angle). Thanks to the long, flexible latch, LC HD Duplex connectors by Telegärtner can be unlocked and unmated securely even when there is not enough space to use one’s fingers. Both cables are available with OM3 and OM4 multimode fibers and OS2 singlemode fibers.